Wall lamps - LIVING AND CO.
Modern wall lamp from the Danish interior brand Hübsch. This beautiful black Hübsch wall lamp with wall shelf is made of metal. Nice combined with the other items from the Hübsch collection! Modern wall lamp from the Danish interior brand Hübsch. This beautiful green Hübsch wall lamp with wall shelf is made of metal. Nice combined with the other items from the Hübsch collection! Modern wall lamp from the Danish interior brand Hübsch. This beautiful green Hübsch wall lamp is made of metal. Nice combined with the other items from the Hübsch collection! Modern wall lamp from the Danish interior brand Hübsch. This beautiful red Hübsch wall lamp is made of metal. Nice combined with the other items from the Hübsch collection! Beautiful House Doctor Leaf wall lamp. This Leaf wall lamp is made of iron with a black finish. Comes with a 2.5m long cord and is suitable for an E14 fitting with 14W max. Beautiful House Doctor Leaf wall lamp. This Leaf wall lamp is made of iron with silver finish and has black wire. Comes with a 2.5m long cord and is suitable for an E14 fitting with 14W max. Modern wall lamp from the Danish interior brand Hübsch. This beautiful brass Hübsch wall lamp is made of metal and is great in any interior! How do you combine this lamp in your interior? Modern wall lamp from the Danish interior brand Hübsch. This beautiful black Hübsch wall lamp is made of metal and is great in any interior! The lamp shade has a white inside. 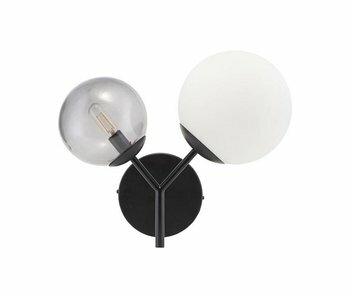 Modern wall lamp from the Danish interior brand Hübsch. This beautiful black Hübsch wall lamp is made of metal and has an adjustable arm with brass details. How do you combine this lamp in your interior? Modern wall lamp from the Danish interior brand Hübsch. 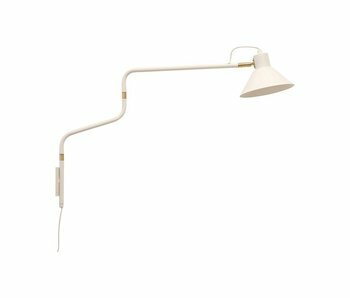 This beautiful white Hübsch wall lamp is made of metal with golden details and has an adjustable arm. How do you combine this lamp in your interior? Modern wall lamp from the Danish interior brand Hübsch. 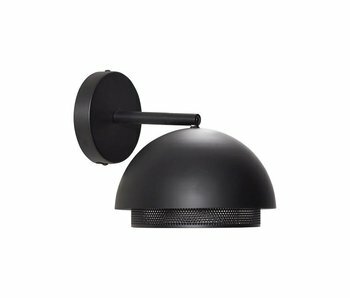 This beautiful black Hübsch wall lamp is made of metal and has an adjustable arm. How do you combine this lamp in your interior? 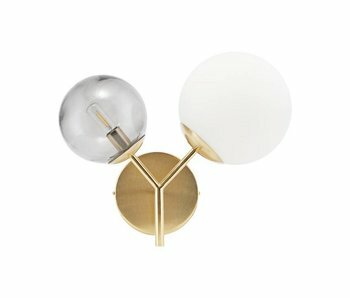 Modern wall lamp from the Danish interior brand Hübsch. This beautiful green Hübsch wall lamp is made of metal and is adjustable! How do you combine this lamp in your interior? 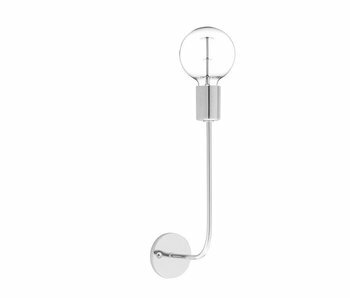 Modern wall lamp from the Danish interior brand Hübsch. This beautiful black Hübsch wall lamp is made of metal and is great in any interior! How do you combine this lamp in your interior? Beautiful House Doctor Desk wall lamp. 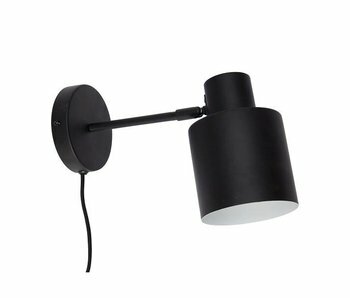 This black desk wall lamp is made of metal and is called an adjustable lampshade. The lamp is 104cm long and comes with a 2.5m long cord and is suitable for an E27 fitting with 40W max. Beautiful House Doctor Precise wall lamp. 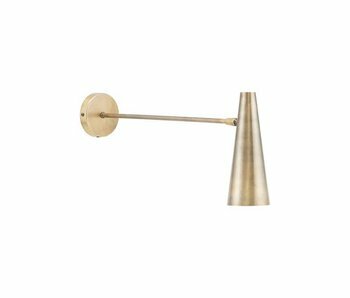 This brass Precise wall lamp is made of metal and has an adjustable lampshade. The length of the lamp is 21cm. Comes with a 2.5m long cord and is suitable for an E14 fitting with 25W LED max. Beautiful House Doctor Precise wall lamp. 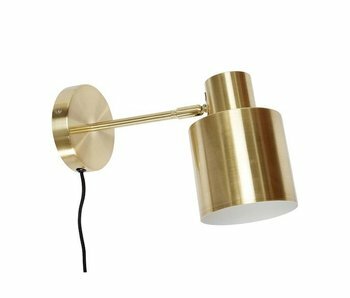 This brass Precise wall lamp is made of metal and has an adjustable lampshade. The length of the lamp is 47cm. Comes with a 2.5m long cord and is suitable for an E14 fitting with 25W LED max. Beautiful House Doctor Twice wall lamp. This Twice wall lamp is made of glass and has a glass lampshade in gray and white glass. Comes with a cord and is suitable for an E14 fitting with 40W max. Beautiful wall lamp of the beautiful interior brand Bloomingville. This Bloomingville wall lamp with silver look is made of metal. How do you combine this wall light in your interior? Beautiful wall lamp of the beautiful interior brand Bloomingville. 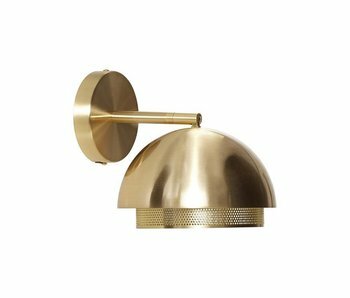 This Bloomingville wall lamp with gold look is made of metal. How do you combine this wall light in your interior? Beautiful wall lamp of the beautiful interior brand Bloomingville. This Bloomingville wall lamp is made of glass with black metal details. The lampshade has a diameter of 25 cm. Comes with a 2 meter long black cord. Beautiful wall lamp of the beautiful interior brand Bloomingville. This Bloomingville wall lamp is made of glass with golden details. The lampshade has a diameter of 25 cm. Comes with a 2 meter gold cord. 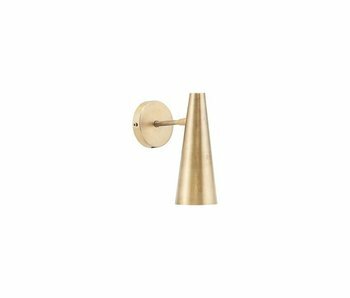 Modern Bloomingville wall lamp made of brass. Very convenient to use due to the adjustable 'arm'. With this beautiful lamp, the light source is not included and is available separately. Equipped with on / off switch on the cord.